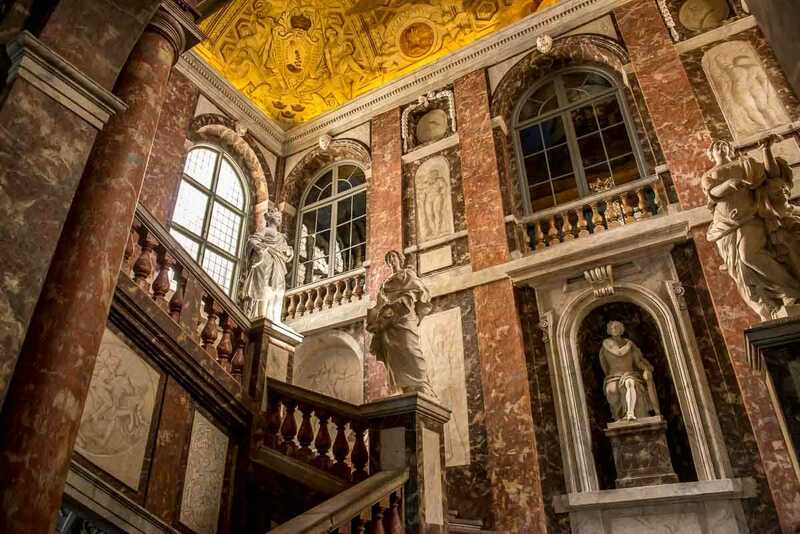 The main stairs of the Drottningholm Palace, a Unesco World Heritage site outside Stockholm, Sweden. One beautiful ceiling (thanks little iPhone) and one disapproving guard. The entry stairway was probably the best decoration in the place, though. So at least you get to see that. 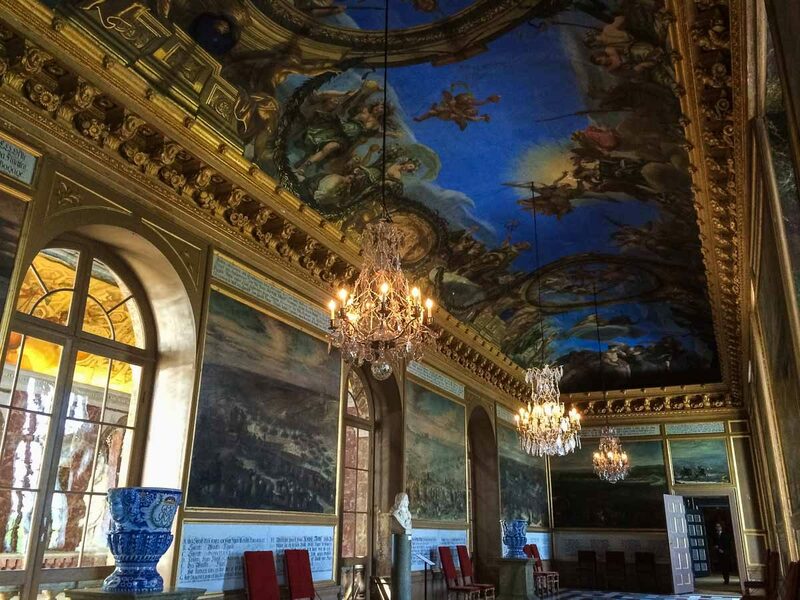 This is a Unesco World Heritage Site, too, because of its decoration, I presume. The royal family of Sweden still uses this as a residence, although you don’t get to see that part of the palace. Of course. 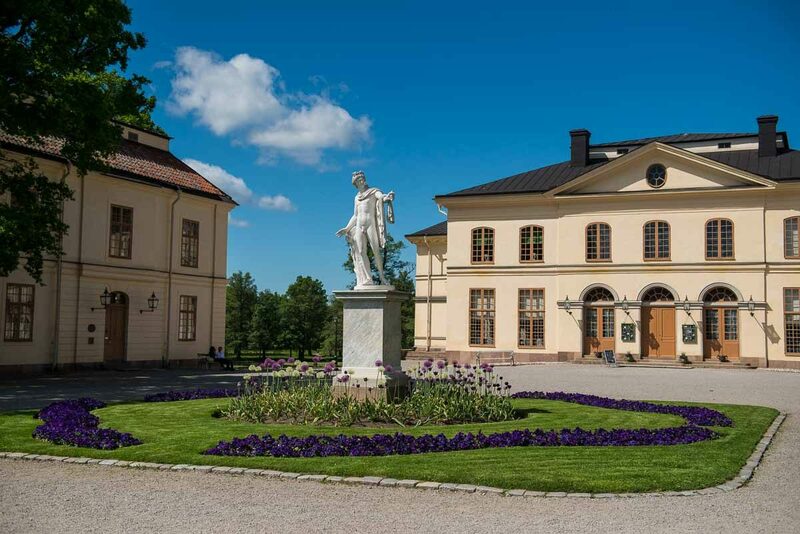 The grounds, with the lovely fountains are a magnificent frame for the Swedish yellow palace. And statues in the gardens are a must for any palace, of course. Here are two shots from the outside of the palace. It is a lovely yellow color. And the grounds are extensive and well manicured. Some of the decorative hedges though, were severely damaged last winter by a storm. The flower gardens have come back nicely, though. 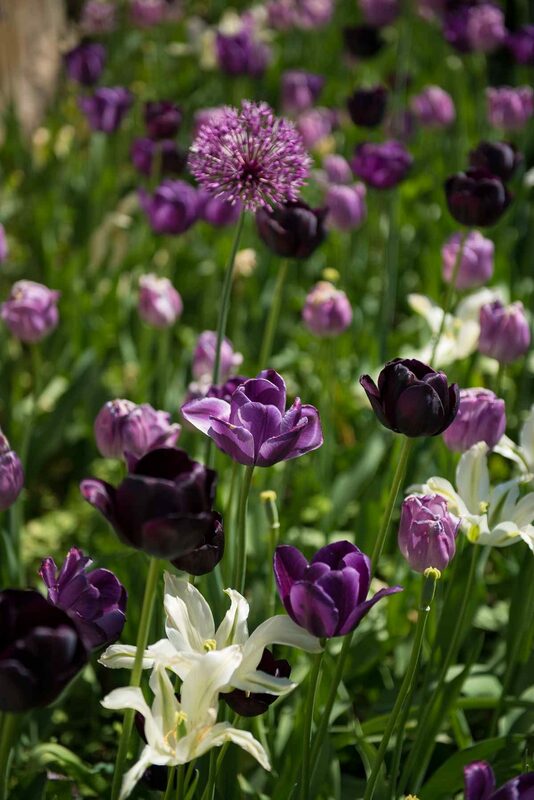 Being the King means you get to have beautiful flower gardens. Drottningholm Palace is a UNESCO World Heritage site. 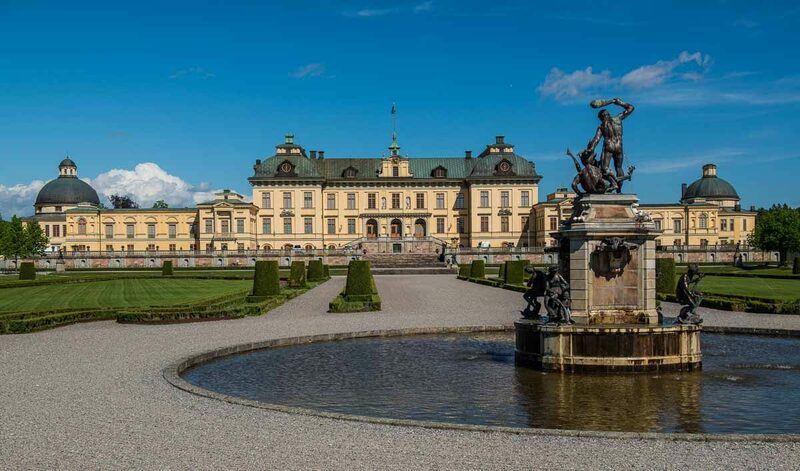 Click this link to see a list of all the UNESCO World Heritage sites in Sweden, with links to the ones we’ve visited. Tom, good shots…love the color on the flowers…so deep! You can thank Mr. Nikon for those colors. That’s just how they came out of the camera, with no manipulation. That D800E is an amazing instrument.